Fantastic! ... couldn't have been more impressed. the staff was amazing,the facilities were great, I couldn't believe I paid so little for so much! I would stay here again in an instant and reccomend it to anyone! 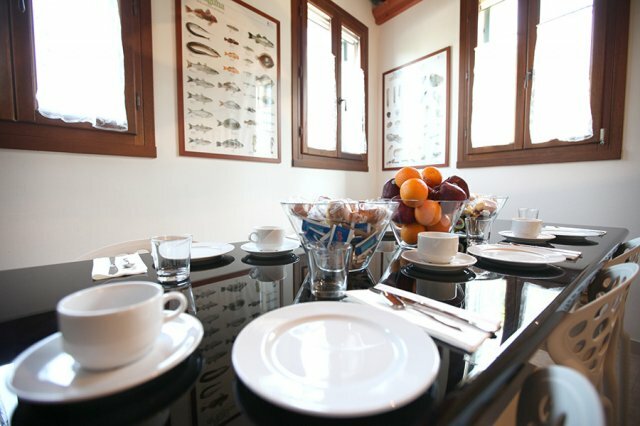 Ca' Priuli offers you a variety of accomodation: decide if you want a room on the first floorof the Villa, a studio on the first floor of the Barchessa, or an apartment with a small garden, on the groundfloor. 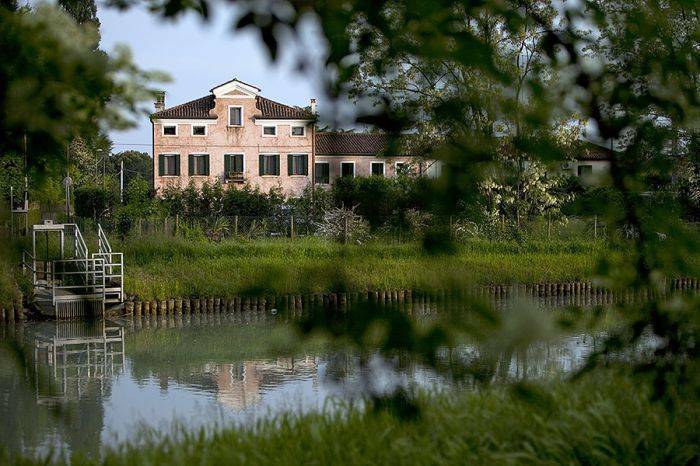 In your free time ask us a bycicle: it is the best way to discover the nearby Palladio's Villas, or take a one day cruise along the Brenta river, along the canal you can admire more than fifty Villas. You can visit by boat the venetian lagoon. that is a crossroad of the main migratory route between Africa and Europe. Every year it hosts more than 125 thousend birds. Relax room is ideal after a hard day: reading a book, drinking a good glass of wine is the best way to relax!! 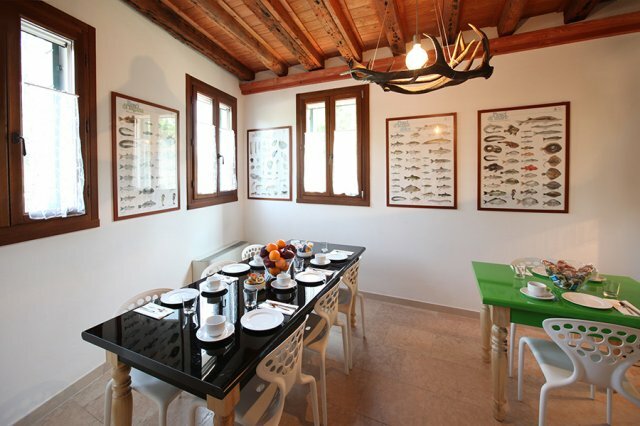 Ca'Priuli is a delightful, refined mansion dating back to the 16th century. 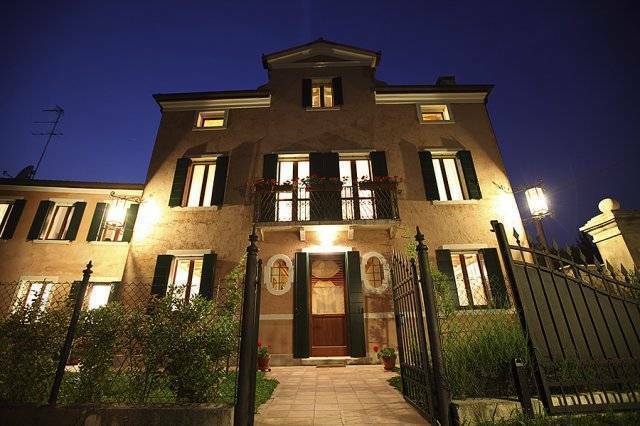 Located along the River Brenta, half way between Venice and Padua it has recently been restored and offers all comfort in a cosy, relaxing athmosphere. From the main hall on the ground floor of the villla, you can get to the breakfast rooms, the bar and the sitting room with a fireplace. The latter is furnished with a small library dedicated to the territory, and it’s where you can plan your excursions or taste one of the typical local wines as Prosecco, Amarone, Cartizze. The room of the villa are located on the first floor. All our rooms have opened windows and private windowed bathroom in marble, tv, courtesy set and a large closet. Wi-fi for free. They are furnished in a functional and modern way with specially designed furniture, by the owner, which sets off the Venetian terrazzo floors and the rafters. 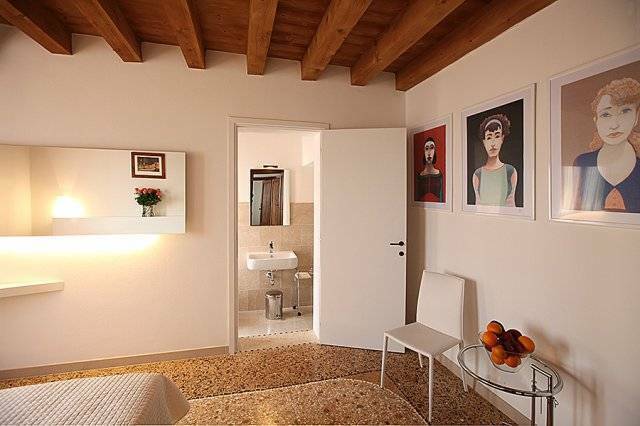 The apartement is located at ground flloor of the barchessa with an independent entrance from the garden. It's about 65 square metres with a private windowed bathroom in marbles with handicap facilities. The bed room has a four poster bed, the living room has a sofa and a small Kitchenettes. We can add two single beds on demand. A room at the ground flloor of the barchessa has an independent entrance from the garden. It's about 25 square metres with 3 opened windows and a private windowed bathroom in marbles with handicap facilities. The bed room has a four poster bed. 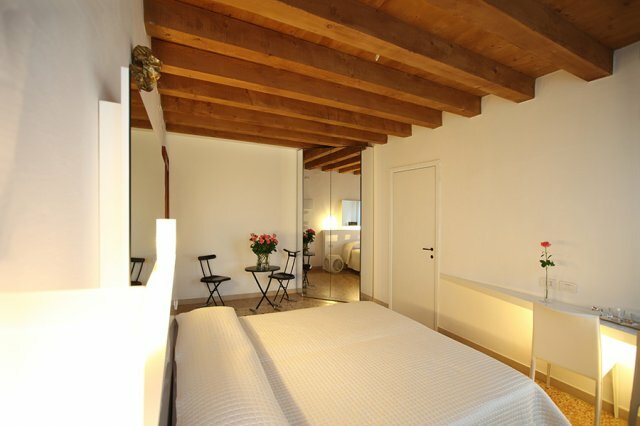 The studio is located at the first floor of the Barchessa with a private windowed bathroom in marbles and a mezzanin. It's about 40 square metres there are 2 open windows a small Kitchenettes, table and chairs, one sofa, tv wi-fi, a double bed is on the mezzanin. The Riviera del Brenta is rich in ancient beautiful Villas as Villa Pisani or Villa Malcontenta. It is situated half way between Padua and Venice, two of Italy's most amazing cities. Cancellations received until two days before the arrival (48 hours) have not penalty, in other case there will be a charge of the first night. We are In Dolo half way between Padua and Venice, so Ca' Priuli, venetian villa of XVI century, is an ideal place to stay to visit our region. From the highway follow the sign for Dolo. We are along the Brenta River between Dolo and Mira. We can provide you bus ticket, shuttle service (under request and payment, booking a cruise along the Brenta River, book a one day cruise in Venice lagoon. Bicycle for free.